“It’s hard to think of a specific suicide prevention program in Minneapolis for Native youth. 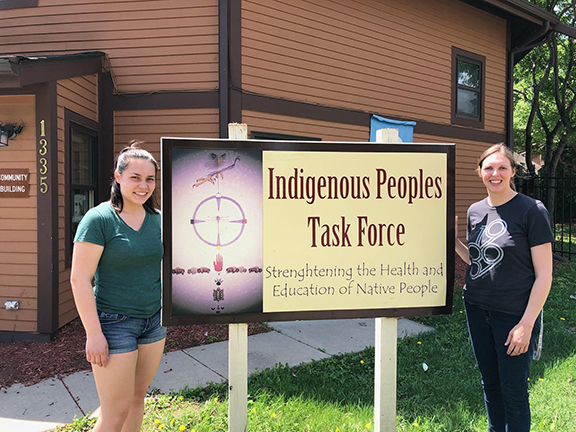 There are a variety of long standing programs in Minneapolis improving the health of Native youth, but suicide prevention isn’t talked about directly” shared Brenna Depies at the Indigenous Peoples Task Force (IPTF). Considering the high rates of suicide taking the lives of Native youth in Minnesota every year, this statement should sound an alarm. Depies’ remark points to a health crisis fueled by structural inequity and racism. According to Minnesota State Suicide Plan, Native youth face the highest rates of suicide in Minnesota of any race. Between 2009 and 2013, Native youth ages 10-24 had a suicide rate of 28.0 per 100,000 – over three times the rate among white youth. Suicide is the second leading cause of death for Native youth in this age group. 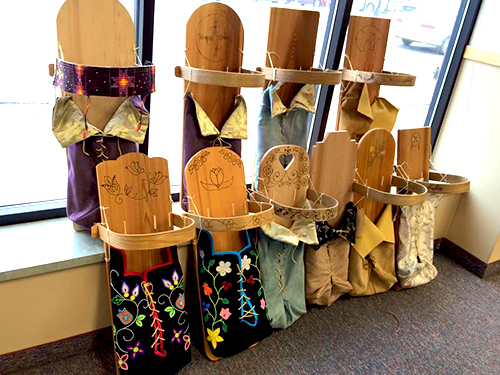 As a longtime caretaker and facilitator of programming for Native youth at IPTF, Depies felt a renewed sense of urgency to focus attention on suicide prevention and is coordinating a new program called Keep The Fire Alive (KTFA). Keep The Fire Alive is a SAMHSA (Substance Abuse and Mental Health Services Administration) Native Connections Suicide Prevention & Substance Abuse program focused on supporting suicide prevention efforts. It will serve Native youth primarily in Minneapolis, but also in surrounding areas. Public health professionals emphasize the margin of error in statistical reporting of suicide rates among Native youth. Issues of underreporting, racial misclassification of deaths, and a tendency to mis-categorize suicides as accidents, can riddle reports with underestimations. Rates of suicide attempts also remain consistently missing in data and fail to provide service providers and advocates with a complete picture. Having just launched this year, KTFA is on a mission to capture a clearer illustration of the extent of the current crisis in Minnesota, and identify culturally appropriate resources. But before making recommendations, they are turning to Native youth to learn. “We want the youth to be at the forefront,” Depies emphasized. The program is committed to cultivating Native youth leaders and peer educators. And its structure reflects this mission. 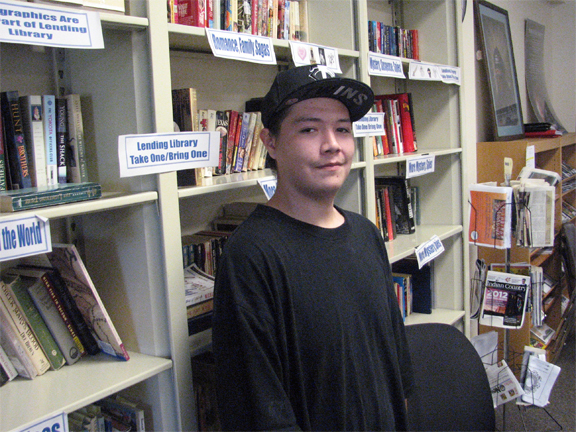 The program began hosting a Youth Advisory Council open to Native youth ages 12 to 24. These regular meetings will help clarify community needs and catalyze conversation around the intricate topic of suicide. “I’ve had youth say they are concerned about a friend. Worrying about suicide is something that the youth are carrying. It’s important for them to know how to take action.” Depies noted. To her, youth are key to effective and authentic prevention methods. She’s determined to provide members with the tools they need to intervene in their own circles when warning signs are present. Through guided activities, KTFA intends to train youth educators so they can identify warning signs in their peers through Applied Suicide Intervention Skills Training (ASIST), or QPR (Question, Persuade and Refer) – steps anyone can learn to help prevent suicide). The leaders are aware that these questions can be difficult to initiative, but as they repeatedly emphasized, these questions could save a life. “It’s about building a culture where children and teens no longer feel they have to keep suicidal thoughts a secret,” Depies added. KTFA doesn’t shy away from talking about and uncovering myths surrounding suicide. Depies named the existing belief that talking about suicide will lead to suicide. Instead, she believes that it doesn’t hurt to ask if you believe someone is thinking of suicide. “You’re not going to plant that seed in their mind. It’s either there or it’s not,” she stated. Efforts in suicide prevention are cumulative and usually begin with something as small as a question. Simply spending time with someone has an impact in and of itself, Counts contended. For instance, if someone who is feeling emotional distress or suicidal, a family member or peer can be with them as they call the National Suicide Prevention Lifeline at 1-800-273-TALK (8255). KTFA is also in a unique position to develop culturally competent resources that acknowledge legacies of intergenerational trauma, historical trauma, and individual trauma impacting Native communities. With this information in hand, the program will strengthen resources so that when crisis strikes, care is readily accessible. A significant vision of the program is to build preventative resources and proactively consider how to prevent suicide. And if new resources are introduced, there cannot be additional barriers to accessing it – from transportation or childcare support to time off work. To Counts, it’s vital to meet the community where they are at and recognize the power residing there. KTFA will also use data collected from Community Readiness Interviews to devise a community map that identifies existing services and addresses disparities across the city. This barometer can then inform enhancements to current systems such as the referrals, service delivery, or follow up care. Key to the program’s success is the involvement of many voices, especially when developing the strategic action plan. “That is something we want the community’s say on because it is for the people,” Counts said. A Strategic Action Plan Workshop will be held on June 20 at All Nations Indian Church and is open to community members to join. No experience in suicide prevention work is necessary. The program leaders seek to make their presence known in the community too. This commitment means showing up in the community often, being clear in their intentions, and actively listening. It’s about creating solutions in and with Native youth and ensuring that the resources are aligned with community feedback. Those interested in being involved are encouraged to attend the Strategic Action Plan Workshop on June 20 from 1:30pm to 5:30pm at All Nations Indian Church, 1515 E 23rd St, Minneapolis. RSVP at 612-722-5670.